﻿ Eva Plays Dead’s self-professed brand of “no-nonsense rock” has taken them surprisingly far, particularly in a time where no one is content unless everything is slotted into its own neat, little box. But through a straightforward, punchy hard rock sound, the Midlands quartet have risen through the ranks of the underground to become something of a significant name. Even on new EP The Fix, they’ve managed to quell any negative reputation tarring from tours with Alien Ant Farm and Soil by taking a more thoughtful route of discussing vocalist Tiggy Dee’s bipolar disorder. And that’s something that makes The Fix stand out at least, with a track like Bones having some more crunch in its assertive, impassioned presentation. If there’s one thing that can be said about Eva Plays Dead here, it’s that they’re not oversimplifying things; a track like Spin may be basic in its overall composition, but it’s direct, and for this sort of hard rock, that can pay huge dividends when done right. And broken down to each of its core pieces, Eva Plays Dead are doing it right. That said, it doesn’t really stop The Fix from capping out at being a decent release and little more. It’s clear that Eva Plays Dead are still without a sound of their own, given how flat and standardised it can sometimes feel, and with a production job that muffles out everything but the vocals, what’s left is a powerhouse frontwoman backed by some muddily-mixed post-grunge when what would benefit the most is something much sharper and razor-tight. Even in the impressively progressive dalliances on a track like Get Back, the impact finds itself considerably and unfortunately muted. It’s the sort of thing that’s disappointing for a newer band like this, but not exactly surprising. After all, Eva Plays Dead are still finding their feet, and from the calibre of musicianship alone, they’re moving into some potentially exciting things in the future. But there’s still that wall blocking them right now, and the sooner they learn to home in on what’s best for them, the sooner they’ll reach it. The Fix is still a good EP, if only as a precursor for the great things that will hopefully soon come. 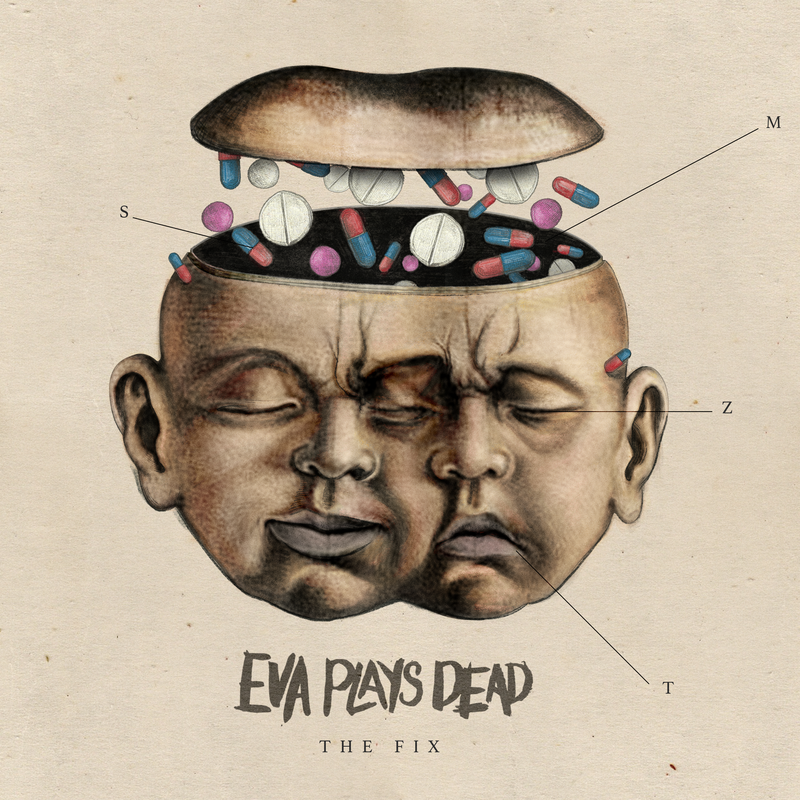 ‘The Fix’ by Eva Plays Dead is released on 27th April on Playing Dead Records.